This gets very ugly at times. This game is almost a total mess. As Luca, one of the descendents of the blessed Crimson Eyed tribe, you can save the kingdom of Gross from the onslaughts of evil. The game loads in some of the worst times aswell. There isn't any challenge, no sidequests, and it's extremely linear. There is only 4 people to your team Including Luke , while the monsters will always outnumber you. There's only 4 camera angles on the battle field, and they like to move them around when an attack happens, so if I finally get use to the controls, the camera will screw all of that up. Since the controls are really bad on the battle field, this can get confusing and really annoying. After you kill a monster on the battle field the monster will always drop a treasure chest. 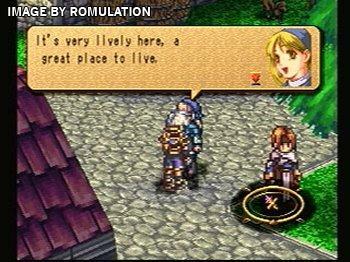 The game is very small, there's only a few dungeons and a few towns within it. You only play as Luke in the game. On the battle field you control your team in rounds. There might be about 5 bosses in the game. There's no camera views for north or south, so how am I suppose to know which way up is? We do not factor unsold items into our prices. My initial instinct is to press the up button where the character is facing up, or press down where the character is facing down. Yeah, I've done all that before in about 100 other games. A magical bolt of lightning shoots from the sky, another magical puppet monster is created, another defender of the kingdom is born. There isn't much I enjoyed about this game. You gain experience by using attacks or you get a ton of experience by killing a monster. You can keep feeding jewels to your Pappet and he'll gain new spells or status boosts. If you attack the treasure chest, you'll get a random item mostly a jewel. . If there is any chests left after the battle is over you'll get all the items at once. The controls on the battle field are really bad. There's an opening anime cutscene, but the in game cutscenes are either in game characters chatting, or still anime pictures expressing what is happening. There's two towns in the game, and this is the only time you can walk around freely to do as you please. Historic sales data are completed sales with a buyer and a seller agreeing on a price. After you finish the game you can start a New Game+. There's no voice overs, or even voice effects. 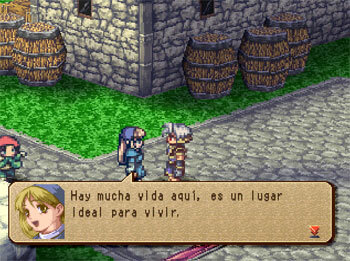 Eventually you'll gain Magical Pappets. You always attack first, and then the enemy takes a turn. These Pappets are like soulless bodies, or puppets and when Luke injects some magical jewels, they'll come to life in various forms. Throughout a world of mystery and intrigue, create magical puppet monsters of your own and become invincible. Luke can only equip 1 weapon and 1 piece of armor. The graphics are outdated and often times ugly. 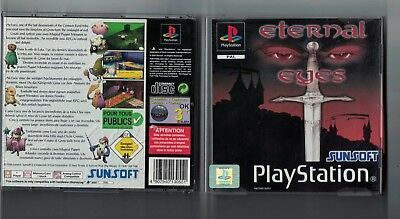 This came out late 2000 which makes it even worse. Luke is the only one on your team that can use Items, but he can't use magic at all. Chart shows the price of Eternal Eyes at the end of each month going back as long as we have tracked the item. 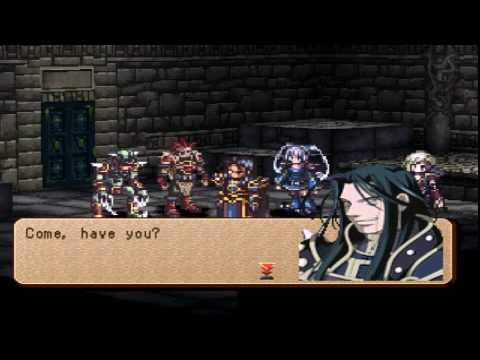 He is your only character with speaking dialog that is in your team. This game isn't exactly pushing the Playstation's hardware. Overall this game feels rushed and slapped together at the last minute. The game is extremely linear and easy to beat. If your Pappet dies on the battle field he'll return to a puppet and you'll have to start building up again from scratch. After so long your Pappet will evolve kinda like a Pokemon and get stronger. 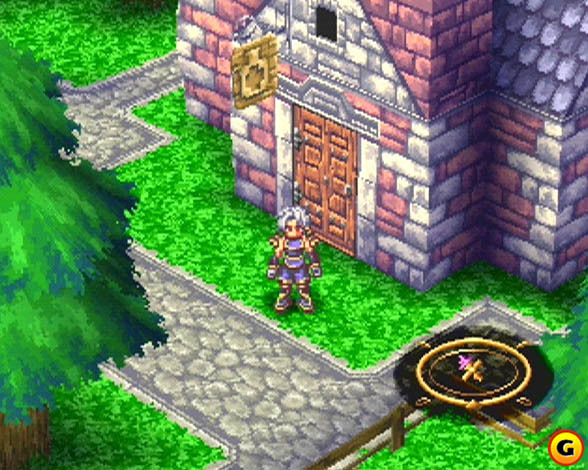 The towns are kinda big, but the dungeons are small and just seem random with little character to them. Your Pappets can equip 2 accessories each. I can't figure it out though, maybe just an extreme case of deja vu. The difference is you'll always be about 10 levels ahead of everything. 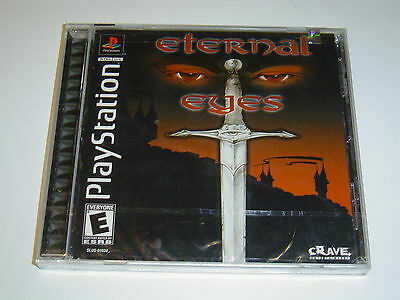 The prices shown are the lowest prices available for Eternal Eyes the last time we updated. The dungeons consist of floors, every time you complete a floor, you move up or down the dungeon until you complete it and move on to the next spot on the map. One major problem with the characters is they're all 2D spites within a 3D world. 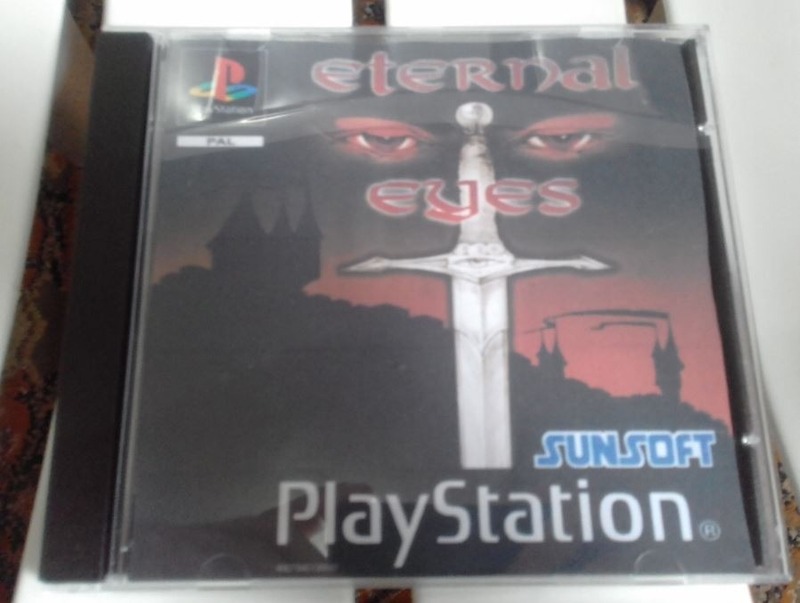 Eternal Eyes is a throwaway RPG, stay away from this one. He can however throw jewels as magic attacks, but why would anyone waste jewels like that? After the battle your team will gain bonus experience and money. Scrolling through status menus to pick an attack will freeze your game up at random for atleast a minute to load, even dialog scenes have to load at times. There's only 10 chapters in the game, and 7 areas to visit, 2 of them being towns. If a monster attacks the treasure chest then you lose the item. 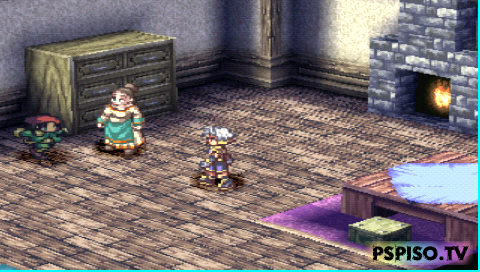 There's a ton of monsters in the game, and plenty of people within the towns. The story follows a pattern so it doesn't ever get exciting or interesting. Only about two of these locations are towns, while the rest are dungeons. The camera often zooms in to show every single pixel aswell. When your team is up for attack, you can move any character in any order. . .